This cocktail is so simple and so delicious that it should not be missed. 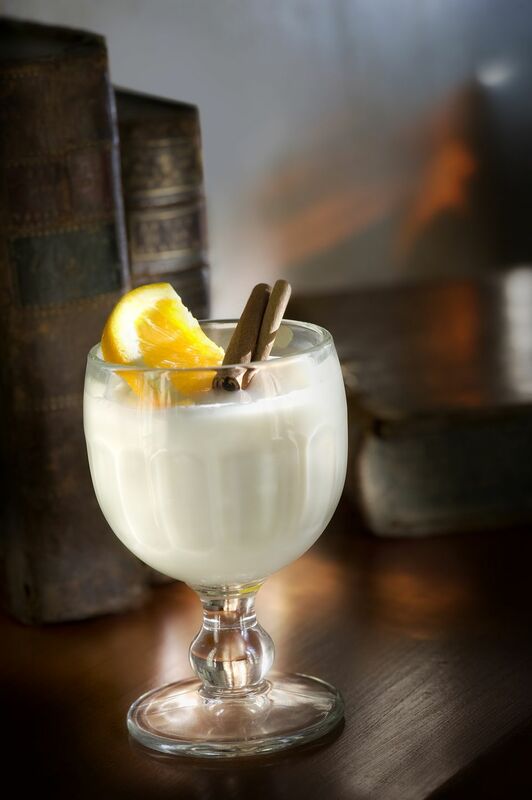 The Milk & Honey uses only Benedictine and milk, but it can be served in two different ways - either cold or warm - depending on your mood. Both are great ways to enjoy the full flavor of the liqueur in a unique and easy way and it makes a soothing winter drink. If you are going for the warm version you will want to be sure to heat your milk slowly and ​gently and stir constantly so it doesn't curdle. Pour Benedictine into a mug, add ice, and top with cold milk. Garnish with a slice of orange and cinnamon. Top Benedictine off with warm milk in a mug.